Sometimes personal and work-related issues can affect you and how you perform at your job. 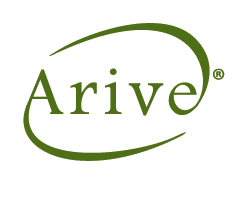 The Arive Member and Associate Assistance Program (MAAP) is designed to provide you and your family with support and guidance from experienced and trained counselling professionals when you need it most. The Acumin Business Assistance Plan (ABAP) provides access to professional accounting, counselling, legal and human resources experts who understand the business challenges you face. Only $68 per year grants you and your family access to a wide range of counsellors specializing in legal issues, financial Issues, family challenges, child and elder care resource support, nutritional counselling and more! You’ll also have access to the ABAP plan! Find out more about MAAP or about ABAP and complete an upgrade form to add both to your CAOT membership. Access to the GoodLife Rewards Program - savings and special offers from over 100 popular brands. Purchase your GoodLife/ Énergie Cardio membership now! Your CAOT member ID number is your unique identifier required to complete your registration. 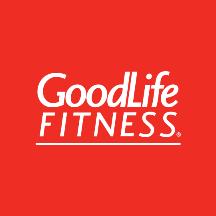 Visit www.goodlifefitness.com or www.energiecardio.com for a complete list of club locations and amenities. For other questions about the CAOT GoodLife membership, check the Frequently Asked Questions. Flaman Fitness is Canada's largest independent fitness equipment retailer. They are the exclusive Canadian retailer for the complete BowFlex line of products, and also carry global leading brands such as FreeMotion, Nautilus, Schwinn, LifeSpan, and TuffStuff. The products range from exercise balls and ropes; up to home gyms, treadmills, and ellipticals; and extending into trampolines and playgrounds. Present your CAOT digital membership card and photo-ID at any Flaman Fitness outlet to receive a 25% discount on regularly priced home-use fitness equipment and 10% off sale-priced fitness equipment. Discount also available for online shopping at FlamanFitness.com. Learn more and register for your online discount. Flaman Fitness is a proud corporate partner of CAOT.